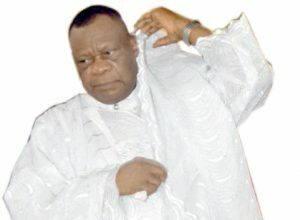 Former General Evangelist of Christ Apostolic Church Worldwide, Prophet Samuel Kayode Abiara in this interview with Effects chides men of God who prophesy doom to the nation, talked about his retirement after 10 years as World Evangelist of the CAC, his late wife and others. What message do you have for the nation this new year? This year is a year of blessings, a year of grace, a year of happiness and a year that will enrich those who are poor; it is a year that they will have victory over what has been afflicting them. It is a year of joy for those who move closer to God and the promise for those who move closer to God will be their lot this year. Secondly, this year is a terrible year for wicked people. I’m referring to hired killers, kidnappers, ritualists this year, God will deal with them thoroughly. God will empower the security agencies to deal with them if they don’t change; armed robbers, wicked people in government in any society or organizations. Also, the witches and wizards, God will deal with them this year if they don’t change. Thirdly, people must not listen to the prophecy of doom; such prophecies that heaven is going to fall, about earthquakes and all those calamities. All these problems, and challenges are in the bible; what concerns us as servants of the most high is that when we get such revelations, we must not allow the heart of the people or the government to be troubled. I want to advise all my colleagues, prophets, bishops, evangelists, pastors, that if they see anything terrible, they must put it in prayers and pray against it. They should not put fear and panic into any nation or people. There’s no prophesy you give to the nation which is not in the bible, Matthew 24 tells us that nations will rise against nations, there will be war, problems and challenges. So, why are we embarrassing governments and nations, that a country will collapse? If they see something they must organize prayers. You are retired but still on the field preaching, why? I retired from the CAC as General Evangelist but in the service of God, I’m not tired. On 2nd September 1967, God called me; ‘my Son, Samuel Abiara today, 2/9/67, I appoint you a prophet and evangelist to the whole world.’ That was before the Authority of CAC called me in 2007 to be the General Evangelist of the mission. Now, I’m a prophet and evangelist to the whole world, not to any church but to all the churches. All churches all over the world have the authority to invite me if they want. I don’t discriminate; I’m a prophet to churches all over the world. Any church that needs my service I will obey them and go there to minister. An office is different from service. I retired from the service of CAC according to their constitution, once you clock 75 years, you retire and give way to another person. The service and the work of God is for life. I’m free to attend any church all over the world now as a retiree. At what point in your ministry did you become popular? God called me in 1963 when I was a clerk with J.A. Agoro. My salary then was 150 kobo. That is 15 shillings per year. My boss was a good man. He took care of me as if I was his child, I attended church services with him. As a young man, I registered my company to start my business but God said, ‘my son Kayode, you are not doing this business’; that he wants me to be His Minister and preach His word. Back then, it’s popular seeing Aladura ringing bell on the streets and looking scruffy. Due to that, I said I’m not interested. But God said No, I will make you great, just obey me. I listened to that voice and today, God has made me what I am not worth. What you are seeing about me is by the grace of God. It’s not by my fasting. People call me ‘Wooli Alagbon’ (Coconut prophet,) because I eat coconut whenever it’s time to break my fast. Be it seven days, 21 days and 40 days fast but that was not the reason for my uncommon favour all over the world. Who am I? My education is nothing to write home about but today, I thank God Almighty. In my dream, an angel came down, spit on my tongue and said I release you to communicate all over the world. I thank God almighty for what God has done for me, I don’t deserve it at all. It’s not because of my holiness or fasting but God just decided to give me an uncommon favour. What lessons about life have you learnt? To move closer to God; when you move closer to God, you will be great. When you move closer to God, you will see the blessings of God almighty, you will see wonders and the hand of God almighty. Just try it. When you move closer to God and obey him, things will go well with you. So many fake prophets, pastors using that title as a cover-up. It’s in the bible, that in the last days there shall be fake prophets, fake pastors, etc. It’s all in the bible. Those who are seeking and going after prophets here and there, they must be very careful. They must find the true gospel church to attend. There are fake prophets, fake pastors, and fake bishops, they are all over. It’s in the bible, I’m not a judge. But the bible warned that we should be careful. So, readers of this interview should be careful of men of God who deceive people all over. They continue to tell lies. At 75, you are still strong, what is the secret sir? That is what I’m telling you, God gave me an uncommon favour. I eat the same food everyone eats but it’s the glory of God. People tell me I look younger and I reply it’s the glory of God. When someone keeps herself or himself and moves closer to God, you will see the glory of God. I move closer to God, I try to obey him, I’m not half as holy as God but God just favours me. When you have a son or daughter, you can never have the same love for all your children; there’s special love for one of them. Most men of God confess they were bad boys before their journey into ministry, they smoked, drank, womanized. I was not holy when God called me too. I just saw grace from God almighty. But when God called me, I heeded his call. In your family, do you have other prophets before you? No, we don’t have any man of God in my family, my father was a catholic and my mum was an Anglican. So we don’t have any pastor or any prophet in my family until God called me in 1963. Since I lost my wife last year, I pray more, read my bible and I’m starting a program, Abiara Divine Foundation Outreach to help and empower people, give them scholarship, take the senior citizens, go to rural areas to empower them. That is what I want to do together with the evangelistic ministry. What did you miss about your late wife? I miss my wife so much, there’s no lady in this world that is more beautiful than my wife. I miss her. She knows my ways, she’s obedient, she takes care of me, and she knows what I want and what I don’t want. So, I miss her a lot. I thank God almighty for sustaining me since the day she passed on last year. Most men of God remarry fast when they lose their wife, are we expecting another mummy soon? Yes, by the grace of God. The bible did not put us in darkness. The bible says men and women are permitted to marry whosoever they want to marry when they lose their loving one. By the grace of God, when God gives me my choice, you will hear.